"I love that Donny has been doing Real Estate and that it's his full-time job. He's not just a weekend realtor, he does this for a living and he takes a genuine interest in each of his clients and their needs." Not knowing anyone else, we did a search on the internet and saw Donny's background. We decided to give him a try. It was the BEST decision we've made. My husband and I have always used a family friend as our realtor. She retired recently and we were in need of a realtor to sell our current house. Not knowing anyone else, we did a search on the internet and saw Donny&apos;s background. We decided to give him a try. It was the BEST decision we&apos;ve made. Donny came to our house the next night. He gave us a couple of days to get the house ready. Once we were ready, the ball started rolling quickly. He had the sign out front, used his drone to take aerial pictures, had someone come in to take pictures and a video! WOW, things have sure changed. All the paperwork so far has been processed on line through Doc-U-Sign. No need to take time off of work to sign papers. The following weekend, we had an open house and had multiple offers. Looking for our new home is stressful enough but we haven&apos;t had to worry about the sell of our current house because Donny has been taking care of EVERYTHING. He&apos;s always available (weekends, nights, etc). He&apos;s also very prompt to our phone calls and emails. THANK YOU Donnie!! Donny is exceptional when it comes to real estate knowledge. He is professional, knows the market and his business. He helped us sell our home and made sure everything went smoothly. He made the entire process seemingly easy and was extremely pleasant to work with. He has a great team that responds immediately. They take high-quality pictures and make drone videos to market your home very well. We Def. Recommended Donny for your future real estate needs." We had initially started to buy another property with a different realtor and the whole thing went from bad to worse. When we found Donny and another property, everything went perfectly. He was knowledgeable, responsive, and thorough. Even following the purchase he continued to assist us as we found tenants (who also spoke highly of him). He's been absolutely fabulous and we highly recommend Donny!" Donny is AWESOME in every sense of the word! When we originally bought our first home in Tracy, CA around 8 years ago he was simply remarkable. He was flexible since we were out of the area and he was very knowledgeable about the local communities and the schools they belonged to (important to us). He was very resourceful with whatever we needed and provided us with contact information for local businesses (locksmith, painters, landscaping etc..). He instantly became our friend :)! We had such a great experience with him that when we decided to sell our home 18 months ago, we went to him for help. He instantly jumped on board and came to our aid. He handled everything... no one and I mean no one could have handled things better. He has a very warm and welcoming personality that instantly puts you at ease. Furthermore, him listening to your needs and meeting your expectations makes buying or selling your home as stress free as possible. Thank you Donny :) U totally ROCK!!! I had a complicated scenario I was forced to undertake in helping my elderly parents with a real estate sale and a couple of purchases within some time constraints to getting it done. Donny was incredible in helping navigate through all the complexities and very thorough in explaining to me what I needed to be aware through the entire process. I was dealing with someone who cared about my situation instead of just doing a transaction. Highly recommend!!!" 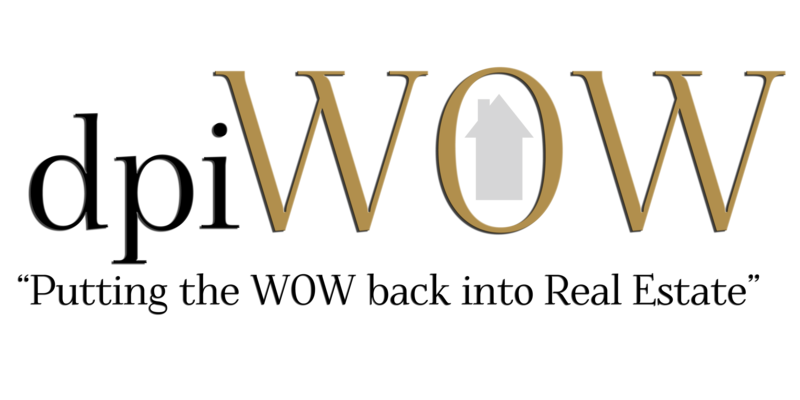 Dpi-WOW is right! Our third transaction with Boehm and first with Donny. He knew exactly what the market was for our home and went right to work. His use of 3D imaging walk-thru and his photographers skill gave us 20 showings in the first 3 days without an open house on a rainy weekend! Potential buyers were able to walk thru our house on-line in detail which then made them want to see it. We received multiple offers and he skillfully worked with each agent to get us the best possible outcome considering our requirements. Each step of the way he was considerate of our time, answered all our questions and cared about us as people. We would give him and his staff 10 stars if we could we are so pleased with the experience. Check around and see if you can find anyone who uses the latest technology for marketing, look at his 3D walk-thru pictures and imagine what he can do for you. BTW, we are not getting paid for this, we are paying him for selling our home and it is money well spent. I had an offer within 4 days of listing the house. Donny has been very professional, and has really gone beyond what I expected for a real estate agent. I moved to a different city, so I have relied on him heavily to handle inspections, repairs that were needed, and just generally be there to answer my relentless texting from nerves. Donny has made this so much easier than I expected, and his 3D walk through of my home was amazing, I had an offer within 4 days of listing the house. 100 percent recommend Donny, and will be saving his information for any future moves!" We love Donny! He's been our realtor for all our real estate needs, over 10 years. He very knowledgeable on all aspects of real estate. He has helped us out tremendously. He goes above and beyond what is expected from a realtor. He even offered to help us move, which we would never allow him to do of course. I recommend him to anyone looking for a great realtor! Five star service for sure! Sold a Single Family home in 2018 in Tracy, CA. The one word that best describes Donny is EXCEPTIONAL. I have hired several real estate agents throughout the years but Donny is by far the best and hardest worker I have seen.What first intrigued me about Donny was his capacity for “data mining.” During our initial visit, he was able to retrieve all kinds of data, trends, and trajectories relative to anything I wanted to know about the local real estate environment. We were looking for a house with some very unique combinations. The only match we could find had a very challenging seller and broker behind it, but my wife and I really wanted that particular house. Our offer was not the highest, but because of the way Donny presented it, the seller went with us. Once we entered contract, we discovered multiple issues from the title history to some deception relative to the disclosures.Needless to say, this was a very complicated real estate transaction. Although we had a choice to walk away, we decided to stick with the property. Donny was with us through every step of the process and, as it turns out, he was spot on in his estimate of the repair expense. Initially, the seller insisted he wasn’t going to pay a dime toward the needed repairs but after a two hour phone call with Donny, he agreed to an acceptable amount. Donny's bi-lingual skills were huge asset in the negotiations. Once we closed, Donny didn’t walk away. He procured multiple vendors for floors, paint, general repairs, pool repairs, glass repairs, landscaping repairs, window repairs, and HVAC. I was surprised at the reasonable price relative to the quality of the work by the vendors. This extra work required Donny to be involved in helping us for five weeks after closing.The uniqueness of this transaction required that we have a realtor with significant experience in all facets of real estate. We were fortunate to discover Donny who pays close attention to detail, treats everyone fairly, and communicates and negotiates effectively. Donny did this and more. That is why we would describe him as EXCEPTIONAL! Bought a Single Family home in 2018 in Tracy, CA. He is amazing and we will always use Donny as our realtor. There are not enough words to explain the fortitude, determination and absolute reliability Donny exhibits. His work ethic is above reproach. We had to short sale a home my parent had owned for 60 years. Donny worked long and hard for next to no monetary return. The words thank you could never express my gratitude for all Donny did to sell our house. He is amazing and we will always use Donny as our realtor.